BiteSMS is one of the most popular, premium tweaks available on the Cydia store and functions as a full replacement for the native messages application that ships with iOS. The popularity of BiteSMS spawns from the fact that it addresses serious functionality flaws that exist in the default messaging application. For those that have been using BiteSMS since the beginning in 2008, the current 6.0 release will seem a million miles away from the bare bones tweak of version 1.12 which featured a character counter as its most notable update. Quick reply and quick compose. Notification privacy and auto forward. Passcode lock and delivery reports. SMS scheduling with quick smiles, templates and contacts. Signature abilities with delay sending and retry on failure functions. Quick forwarding of messages and contact picture integration. With iOS 5.1 currently sitting in the inboxes of registered developers, BiteSMS users have waited just over 2 months since the public launch of iOS 5 to get full compatibility. The 6.0 release finally addresses the needs of these users and features integration with all iOS 5 features including iMessages and Notification Centre on both iPhones and iPod touches. Previous users of the BiteSMS tweak will also notice that the Quick Compose and Quick reply features have also been re-imagined to fit the look and feel of the newest version of Apples operating system. One small, but important gripe in past iterations of BiteSMS has been the application icon which is installed as part of the installation process through Cydia. The icon is a very garish pink color and tends to stand out and look out of place when featured on the devices Springboard. The development team behind BiteSMS has listened to customers concerns and added the option to use the default messages icon, therefore keeping the consistent native feel of iOS. 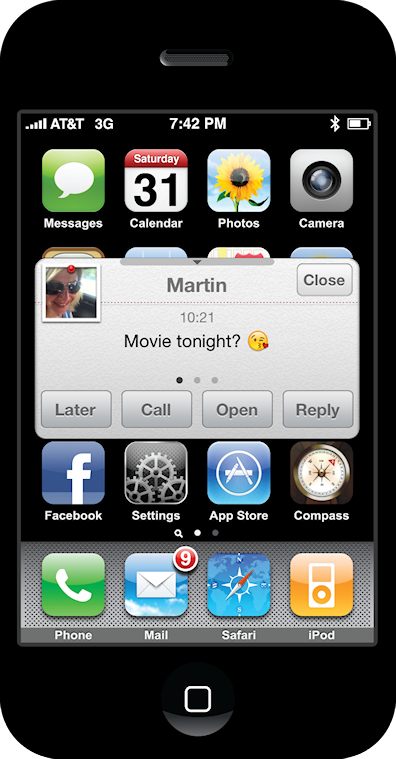 iOS 5 compatibility with full integration of all iOS 5 features including iMessaging and Notification Center. 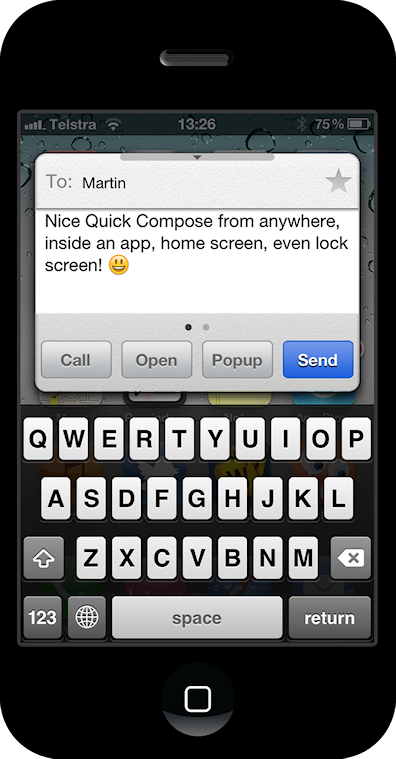 New quick look compose and quick reply. New passcode lock feature inside of quick reply. New ability to use native messages icon instead of BiteSMS icon. The development team has pointed out that iOS 4 users are actually installing version 5.5 and should not expect to find any new features in this build. BiteSMS 6.0 can be downloaded via Cydia’s BigBoss repository. You will obviously need to have a jailbroken device to get it to work. For jailbreaking iOS 5 tethered using Redsn0w, you can follow our complete step by step guide posted here, or here if you want to use Sn0wbreeze on Windows. Since jailbreak on iOS 5 is currently limited to tethered boot only, you can install ‘SemiTether’ patch (instructions here) from Cydia to make your jailbreak semi-tethered on iOS 5. For those of you on iOS 5.0.1 can follow our instructions posted here on how to jailbreak using Redsn0w, or here using Ac1dSn0w (instructions with Ac1dSn0w Beta 2 here), or here using Sn0wbreeze. AT&t a database renew, it indicates AT&T took away the access for their database from many cheap ՍΝᏞΟᏟΚings, but there is a website that does, go check out just google atttiphoneuunlocking, we’re still in a job to ՍΝᏞΟᏟΚing any AT&T device.